It's back to PhotoFunia today to create this work of art. Purrfect for any art gallery! Gorgeous!!! You were meant to be hanging in an art gallery, Athena! Athena does belong in an Art gallery. I haven't used Photofunia in a long time. Looks like it's worth a visit again. Oh Athena! Yous looks like the Portrait of a Beautiful lady Cat! I love the texture, and the frame! Ready for hanging up on you wall ! Looks beautiful ! Pawsum foto Athena, yous lookin' just bootyful. You look really good in gold , Athena !! Whoa! I’d love a thick gold frame like that! 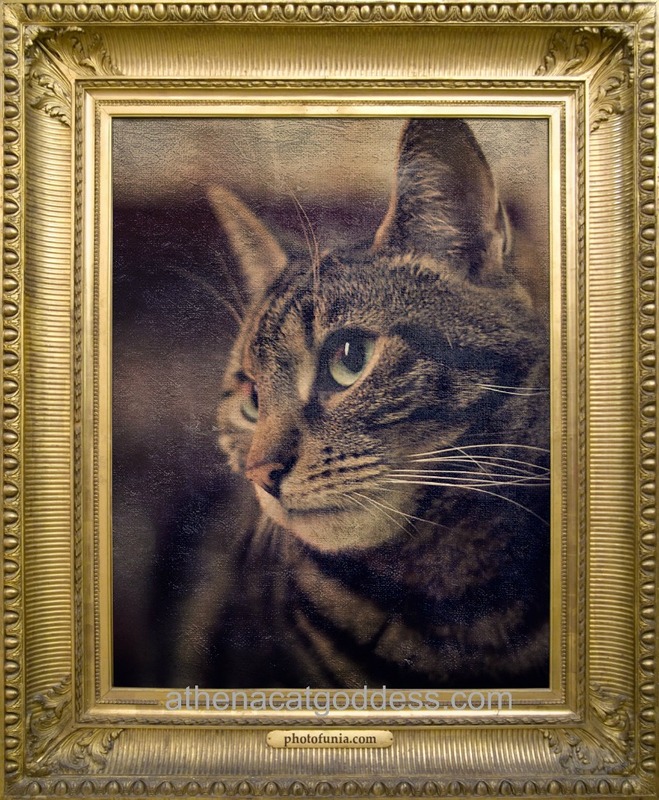 Beautiful art work Miss Athena, and that frame is just purrrfect for it!